If you have recently lost a loved one, the technicalities involved with administering an estate or trust are probably the last thing you want to think about. Yet these details must be attended to, and some actions may need to be taken within a short time after death. A competent, understanding probate attorney can minimize the difficulty and stress associated with settling a family member's affairs, and may help you to avoid costly errors. If you have been named executor or trustee, you have many important duties and responsibilities, which cannot be taken lightly. 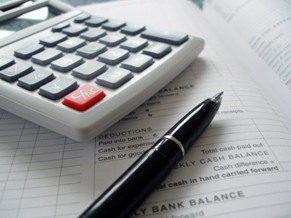 A skilled attorney can help you to understand these duties and carry them out properly. Even if the decedent left a will, a will is not self-executing; that is, the transfer of ownership is not automatic. If the decedent owned property in his or her sole name, a court proceeding may be necessary to "probate," or prove, the will, before property may be distributed as the will specifies. If there is no will, a court must determine, according to law, who will inherit the decedent’s property. If a court proceeding is required, you will probably want to engage an attorney to help you navigate the complex rules and procedures of probate court. If you are a beneficiary under a will or trust, you may wish to engage your own attorney to help you to understand and enforce your rights and obtain the property that has been provided for you. If you were not provided for, and feel you should have been, an attorney can review the situation and documents and provide an opinion about whether you could succeed in challenging a will or other arrangement. - Decedent: A person who has died. 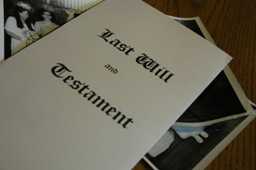 - Executor: The person named in a will to settle the final affairs of the decedent (for example, by gathering his or her property, and paying any legitimate claims against the estate, including funeral expenses and other bills), and distribute any remaining property in accordance with the terms of the will. - Personal Representative: The executor or, if there is no will, a person appointed by the court to settle the decedent's final affairs and distribute his or her property. - Trustee: An individual designated by the creator of a trust to hold legal title to the trust property, manage it, and eventually distribute it to one or more beneficiaries. A trustee may serve for a long or short time, depending on the terms of the trust. The trustee has a fiduciary duty to take care of the property and follow the terms of the trust closely, and may also be responsible for investing property, filing tax returns, and other duties. - Beneficiary: Someone who has been designated as the recipient of property rights under a will, trust, or contract (such as a life insurance, pension, or annuity contract). In some situations property will automatically pass to the beneficiary, but steps still need to be taken to obtain access to the property. In other circumstances, it may be necessary to wait a certain period of time, or go to court before the property will actually pass into the control of the beneficiary. - Intestate: Dying without a will. If someone dies intestate, state law determines what happens to their property, depending on their family situation at the time of death (for example, whether they were married, or had children). Photographs on this page courtesy of Steve Woods (l) and Jennifer Marr (r).